West Indies fast bowler Kemar Roach spoke to members of the media following the second day of the first Test of the Wisden Trophy Series at Kensington Oval on Thursday. The 30-year-old had the remarkable figures of 11-7-17-5 – his ninth five-for in Test cricket – as the home side bowled out the England for 77 in the first innings. This gave the Windies a lead of 212 and they reached 127-6 in the second innings, as 18 wickets fell on the day. The overall lead is 339, going into Day 3 on Friday. 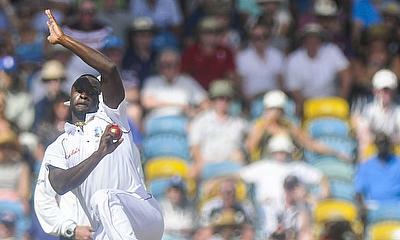 Roach continued his excellent track record on home soil – he now has 29 wickets in his fifth Test at the historic venue – and today’s effort bettered his previous best figures of 4-55 against New Zealand in 2014. 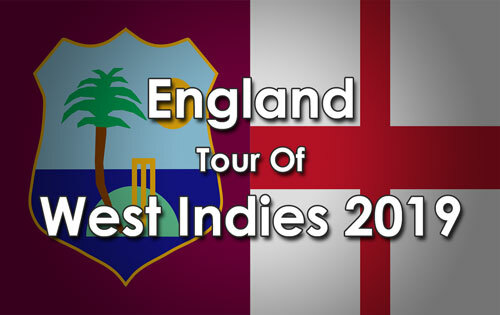 It was England’s fourth-lowest total against West Indies and the lowest by any team at the ground. “The ball was coming out really well today and my rhythm was good. I felt really good and enjoyed my bowling. We had specific plans… we were very disciplined and we hit the nail on the head. I was happy for the support of the others and we bowled well as a team today. I have been putting in a lot of work in the nets and today I got some rewards,” Roach said. 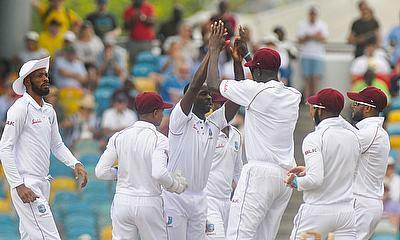 Roach, who is making his 51st Test appearance, was well supported by captain Jason Holder (2-15), Alzarri Joseph (2-20) and Shannon Gabriel (1-15), all as they all created wicket-taking chances. In West Indies second innings, debutant John Campbell again played with freedom to make 33 and was well supported by Kraigg Brathwaite, who batted patiently for 24 in an opening partnership of 53. It was their second half-century stand in the match. Windies slipped to 61-5, but Shane Dowrich (27 not out) and Shimron Hetmyer (31) steadied the innings. They added 59 for the sixth wicket with a number of bold shots and counted four fours and three sixes in the partnership. The left-handed Hetmyer again showcased his wide range of strokes and counted two boundaries and two sixes. This followed up his valuable 81 in the first innings – which came off 109 balls and included nine boundaries and two sixes.